Having been farmed, plundered, conquered and cherished by everyone from Neolithic man, the Romans, Arabs, Knights of St John and the British, today it is tourists who invade Malta every year. I’ve been twice, on a recent stay at the very luxurious Azure Golden Sands Resort and Spa and a previous winter trip about 15 years ago so here are my top 10 things to see and do in Malta. Valletta is quite simply ravishing. 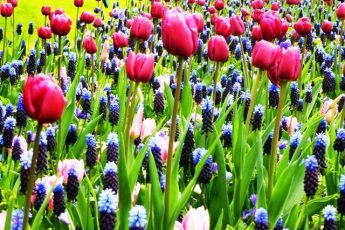 With a celebratory jumble of beautiful old churches including the stunningly baroque St John’s Co-Cathedral, palaces, museums, forts, ports, shops, restaurants and bars there is no shortage of fascinating sights. Stroll along the bustling streets and get lost down ancient alleyways. I’d recommend the Malta 5D Show where you experience the history of the islands through the eyes of a Maltese Falcon via film and special effects, including moving seats, the smell of baking bread and one that will make you jump. 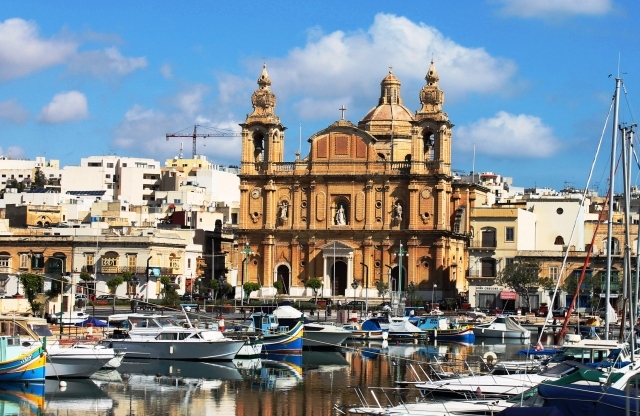 All along Sliema promenade, with its stunning view of Valletta and the mighty harbour fortifications, are tempting tours inviting you to discover war-time Malta, go deep-sea diving or set sail on a sunset pirate cruise. It’s a popular resort with many hotels, lively night-life and good shopping. I joined the Malta Sightseeing Hop/Off Tour Bus which does excellent tours of the island and Gozo. The multi-lingual commentary is really informative. 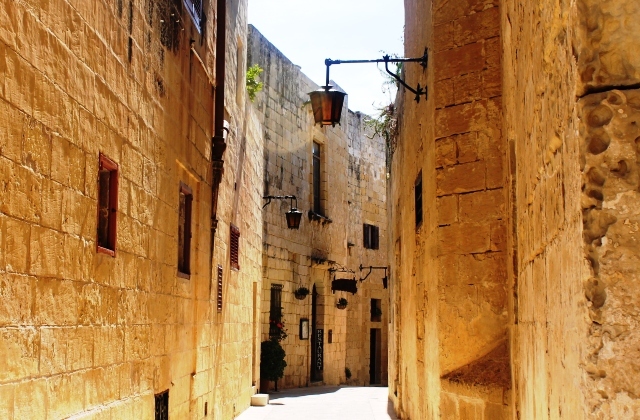 Please, please make enough time to absorb the elegant, tranquil and soulfully lovely old ‘Silent City’ of Mdina. Slow down and enjoy its high-walled, honey-coloured, simple architecture and seductive ambiance. 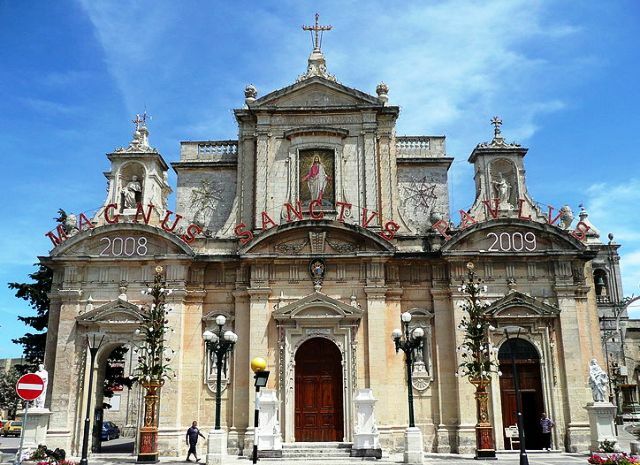 As everywhere in Malta, there are many churches to see and echoes of its Arabic past. 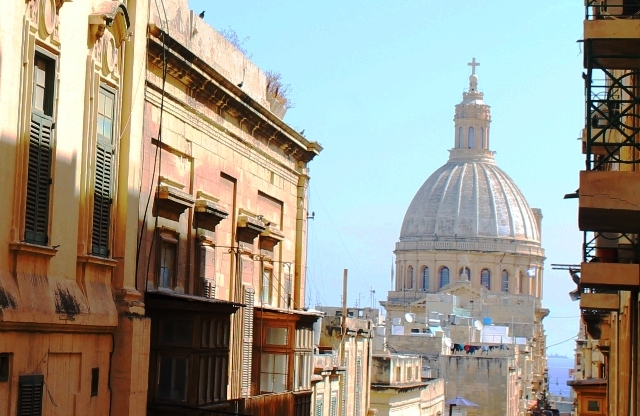 The audio-visual L’mdina Experience tells the story of Malta’s original capital. From Bastion Square parapet you get a superb view across the island. When you’ve finished sight-seeing, elbow others out of the way and grab a table at popular Fontanella Tea Garden; I can HIGHLY recommend their enormous cakes! Not far from Mdina, Ir-Rabat was part of ancient Rome’s Melitta and there are some archaeological ruins including the Roman Villa Catacombs. As well as a number of convents and monasteries, it is most famous for St Paul’s Church and Grotto. The saint was supposedly shipwrecked on Malta on St Paul’s Island, near the busy tourist resort of St Paul’s Bay. He sheltered in this cave and it is now a place of pilgrimage, albeit a rather dark and gloomy one. 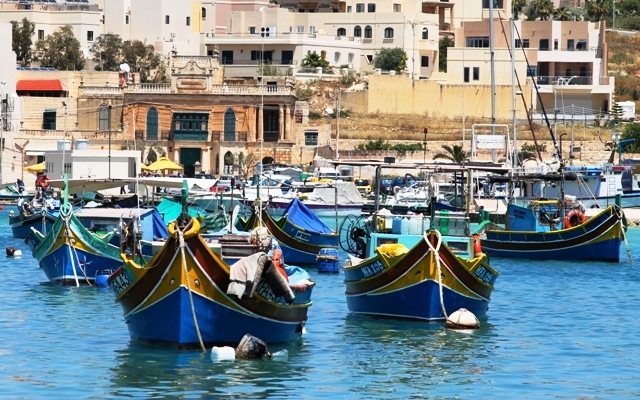 Still a thriving fishing village, Marsaxlokk is well-marked on the tourist map, mainly for the photogenic fishing boats and market stalls. (Beware cheap tat, but the nougat is good.) The village’s unusual name comes from marsa, which means “port” and xlokk, which is the local name for south east. The word is related to the name for the dry sirocco wind that blows from the Sahara (Wikipedia). The traditional ‘luzzu‘ are painted in vivid primary colours and have the protective ‘Eye of Osiris’ painted on the prow. The nearby power station and oil terminal are not quite so picturesque. 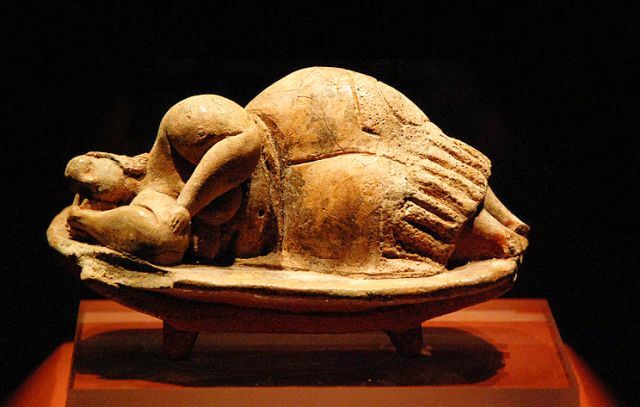 Malta, the ‘Sacred Island’ is riven with prehistoric monuments and archaeological sites. Not from Marsaxlokk is Ghar Dalam Cave with a large collection of prehistoric animal bones dating back 180,000 years. The Hal Tarxien Temple dates back to the Bronze Age. Not far away is the unique 5000 year old Hal Saflieni Hypogeum, a vast underground cemetery, hacked out from the rocks by hand where ‘The Sleeping Lady’ used to lie. (I’ve not seen it but my guide books says it’s the ‘must-see’ megalithic site on Malta.) High up on a cliff further along the south sit the Hagar Qim and Mnajdra Temples c. 3600 – 3200 BC and the post-Neolithic rock tombs of Haz-Zebbug. Well, it’s what most people come to Malta for, isn’t it? The island is popular with sun-seekers for a lot of the year. There are some lovely beaches, (and some not so good) including Golden Sands, on the north east coast, where I stayed. 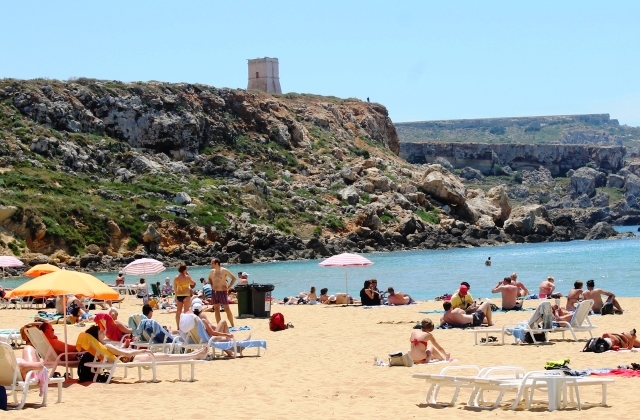 Nearby Mellieha Bay has a big beach with lots of activities for all the family. 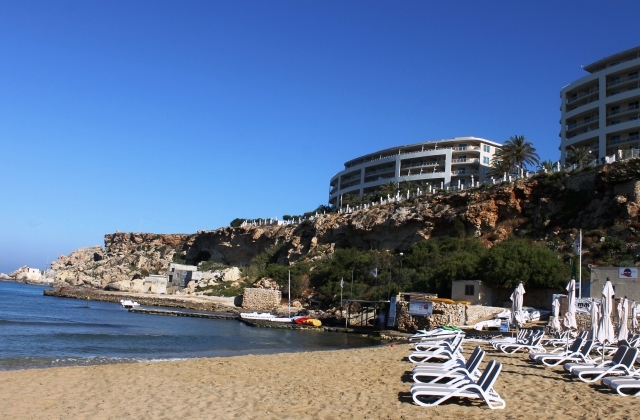 On the west coast, Ghajn Tuffieha and neighbouring Golden Bay are considered the best beaches on the island, whereas popular St Julian’s has a pocket handkerchief of sand and a lido on the coast. 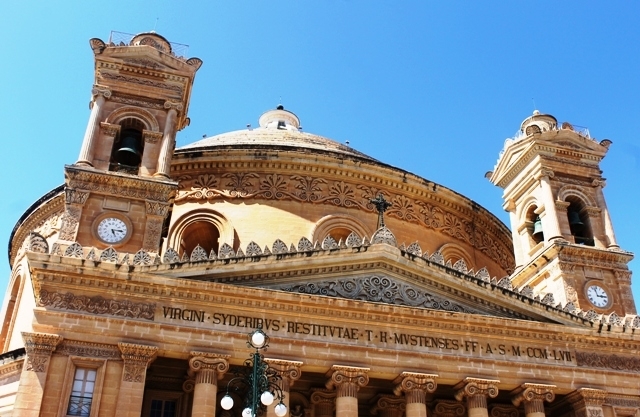 Mosta Church (Rotunda of St Marija Assunta) is famous for a lucky escape. On April 9th 1942 locals sheltered in the church to escape German air attack. 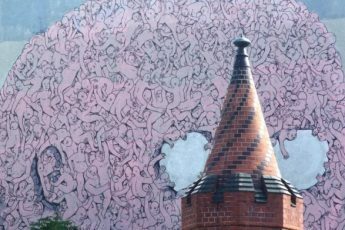 A bomb fell through the dome (third largest in Europe) and didn’t explode. A copy of the bomb is on display and you can see the repair marks on the ceiling, which is geometrically splendid. Yes, it’s touristy and no, it’s not as impressive as the Blue Lagoon at Comino, but the Blue Grotto makes a nice little excursion. You get a ticket at the tiny creek of Wied Iz-Zurrieq, and are man-handled into a crowded boat. 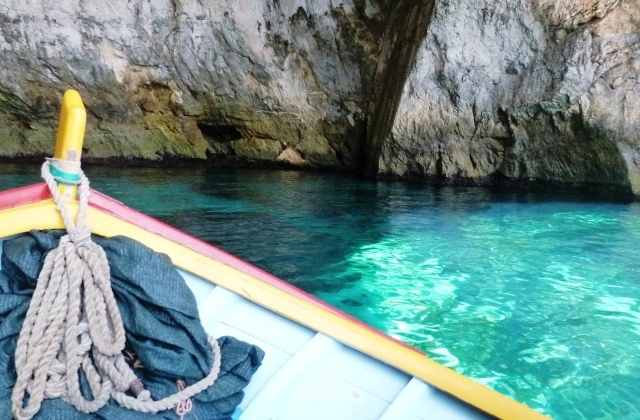 If you’re lucky it will be one of the traditional fishermen’s boats and you’ll then putt-putt beneath massive sandstone cliffs in a boat relay into a series of seven caves rippling with crystal clear and a times very blue water. Finally something you may not find in many guide books – yet. 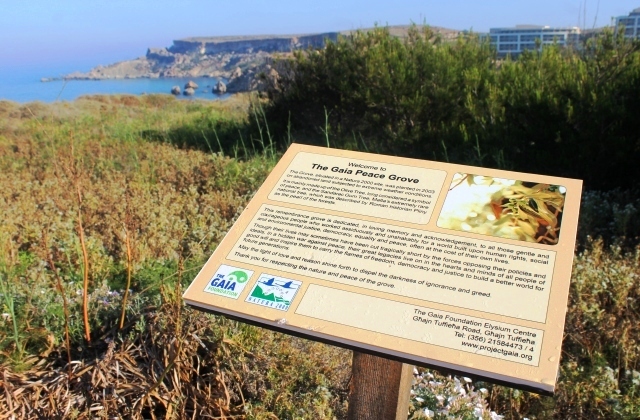 The Gaia Peace Grove was inaugurated on 21st June 2013 on the breezy NE coast headland of Ghajn Tuffieh, overlooking Golden Sands bay. 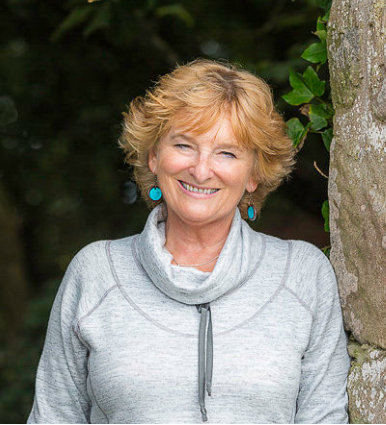 An olive grove has been planted next to an ancient watch-tower and information boards have been set up set up, commemorating many â€œwho have worked so hard and courageously, and made such sacrifices to build a better a worldâ€. They include The Dalai Lama, Nelson Mandela, Dian Fossey, John Kennedy, Martin Luther King, Aung San Suu Kji, John Lennon and Mahatma Gandhi. Time seems to stand still here as the shusshing of the sea mingles with the cries of gulls and the scents of the Mediterranean permeate the air. I stayed at Azure Golden Sands Resort and Spa, in one of their luxury timeshare apartments. Thanks to everyone there for a really relaxing and enjoyable stay on the fascinating island of Malta. Gozo is well worth a day trip – a bit like Malta was many years ago. And I do miss the quirky old buses on Malta! Zoe, I also love Malta and have been twice. I love your suggestions. I would mention you should definitely try the local cheese pies…cheap and delicious! Thanks for the reminder Corinne 🙂 I must admit I missed the cheese pies this time but vaguely remember them being delicious from previous visit. 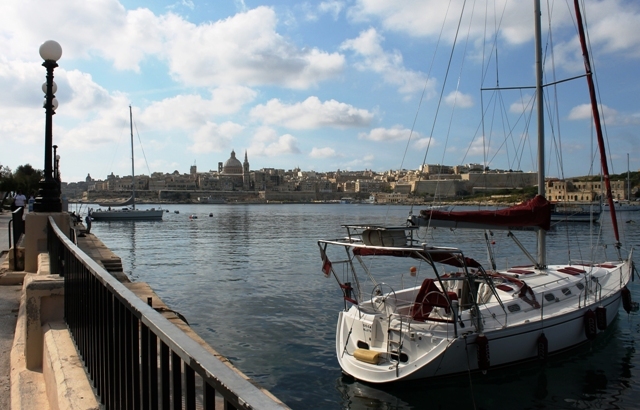 These is a pretty solid list of things to do in beautiful Malta. We have a friend who is always telling us to take our next adventure there. Malta looks like a pretty city. The sun-bathing photo is so gorgeous!